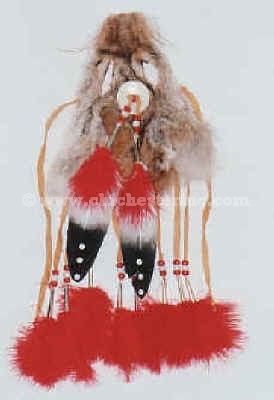 The Iroquois wall hanging is made from a coyote head and is adorned with a clam shell disc, ribbons, feathers, glass beds, and tin cones. It has Iroquois markings on the back and a leather strap for hanging. These are made on the Six Nations Reservation in Ontario, Canada.